We created THE GRAND ABYSS HOTEL in the spirit of the greatest science fiction, acting a mirror to the world to help reveal a type of violence that, unlike purely physical, primary and spectacular violence, tends to remain hidden. It’s the symbolic violence – both institutional and economic – that remains invisible although its effects may be more lasting and devastating than the more visible physical kind. With THE GRAND ABYSS HOTEL, Marcos and I don’t want to give answers about the political and social moment that we are all living all over the World. Instead, we want to make people think about their role in the chaotic times that we live in. By asking that question, we hope it helps you find your own role in the larger social and political landscape. The best weapon to fight against corrupt systems is simply an idea. Believe me, nothing is more dangerous to a bad person than asking the questions that empower the masses. While Marcos and David created THE GRAND ABYSS HOTEL years ago, it feels more timely and prescient than ever when we see the rise of political extremism across the world,. This is a story about the threat posed to humanity when we turn away from the toughest questions that produce the most challenging answers and the consequences of how we react to the world around us as a result of that cowardice. 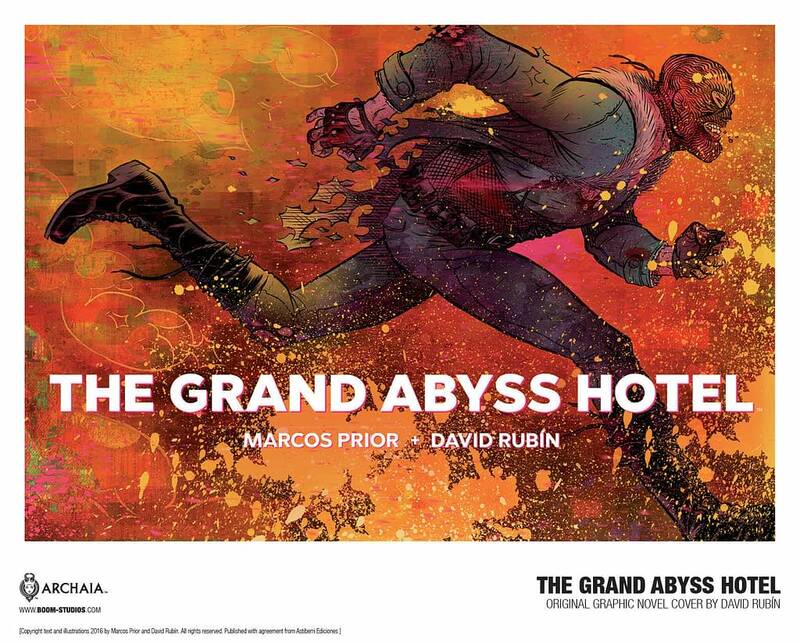 Look for Grand Abyss Hotel on May 29th, 2019, sold in capitalist enclaves like your local comic book shop.